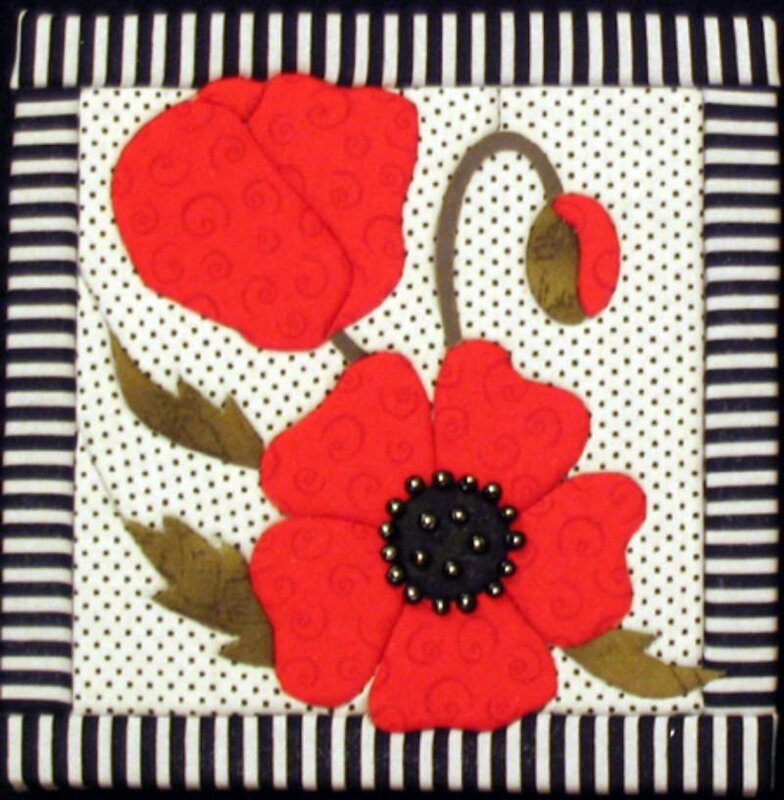 Home > Quilt Kits > Poppy - No Sew Quilt Wall Hanging 6" x 6"
Poppy - No Sew Quilt Wall Hanging 6" x 6"
Kit includes: wood backing, foam core, adhesive application, pre-cut paper pattern pieces with design already cut into board, complete written instructions, illustrations, foam sheet to finish back of picture, and sawtooth wallhanger. So easy to make; Remove paper pattern piece (a pale pink adhesive will be exposed), pin pattern to right side of fabric, cut 1/8 from edge of pattern, place fabric on exposed adhesive, tuck raw edges into grooves to finish. Repeat until the board is covered with fabric and use instructions for (A) border to complete picture.